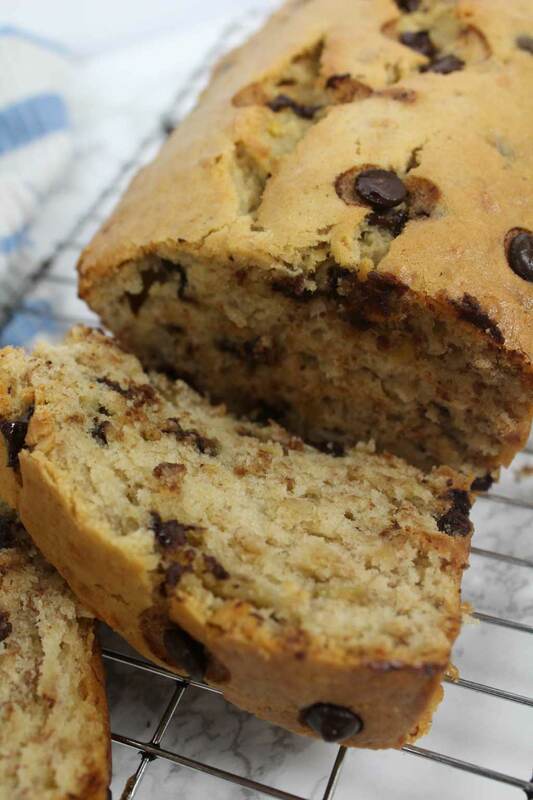 This vegan chocolate chip banana bread is sweet, cakey and super moist. 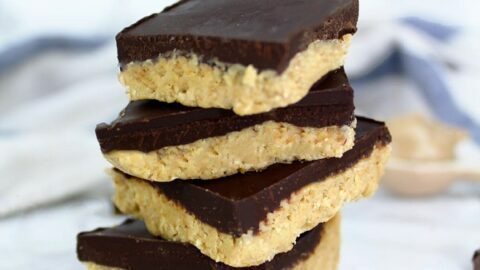 It makes a delicious afternoon snack and tastes great served with nut butter. What could possibly be better than banana bread, I hear you ask? Honestly, yesterday was actually my first time ever TASTING, let alone baking banana bread with chocolate chips in it. But I was not disappointed! I’ve always loved the flavour of chocolate more than anything else, so I’ll take any opportunity I can get to add it to my dessert recipes. I told you! I don’t mess around when it comes to chocolate. I’ve been really craving banana bread lately but since I’ve already made plain vegan banana bread hundreds of times, I thought I’d switch my old recipe up a bit, and also add some chocolate chips while I was at it. Not to toot my own horn, but it was amazing. The inside was nice and moist but also a little bit cakey and light, which is something I had struggled to achieve with my old recipe. I managed to do this by reducing the number of bananas, switching from plain flour to self-raising flour, and adding a pinch of baking powder. 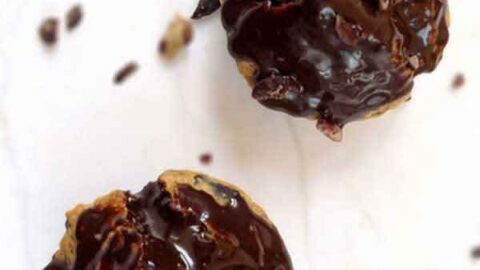 Adding in some dark chocolate chips also gave a lovely texture and rich flavour, making it even more enjoyable. Traditionally speaking, no. 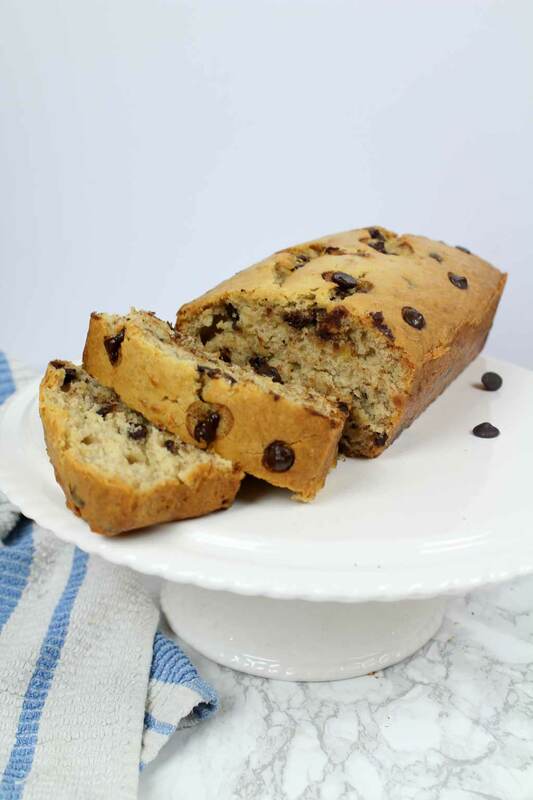 Usually you’ll find that most chocolate chip banana bread recipes call for eggs and dairy. 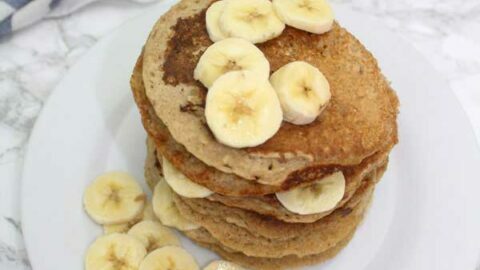 But because bananas act as a very simple egg replacer, there was absolutely no need to include eggs in this recipe. Because this recipe uses self-raising flour, it leavens beautifully on its own. 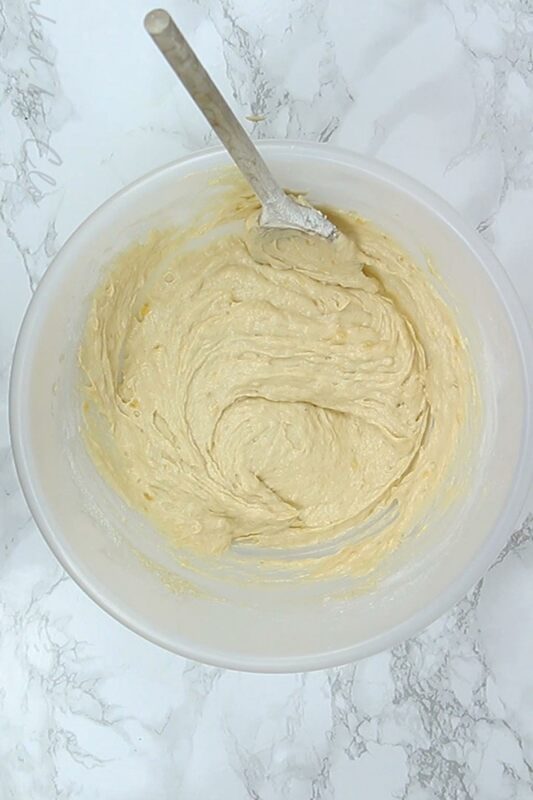 And the moisture of the bananas helps to hold it together really well, meaning you don’t get that crumbly mess you can sometimes end up with when baking eggless desserts! And the dairy part? I simply switched traditional butter for vegan butter. 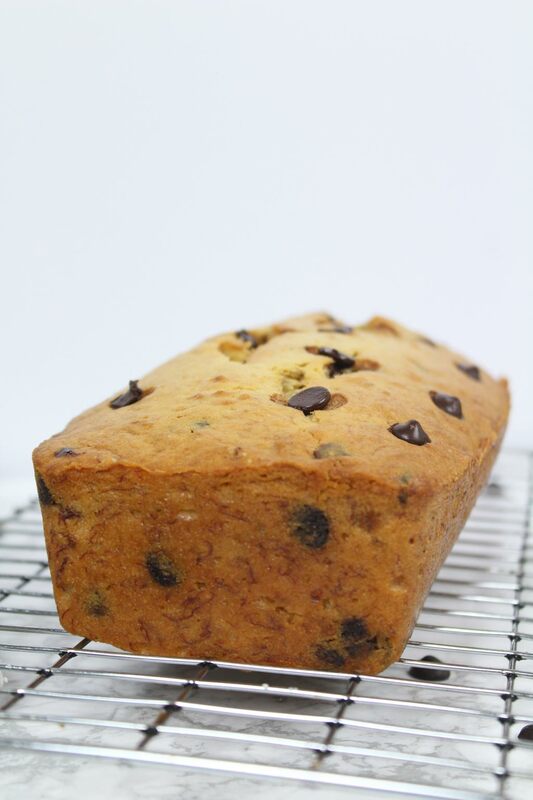 It gives the same taste, same texture, and results in beautifully moist chocolate chip banana bread. 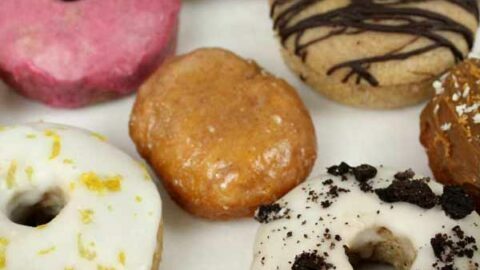 This vegan baking thing ain’t as hard as you might think. What kind of chocolate chips are vegan? Quite a lot of the dark chocolate chips you’ll find in the baking section at supermarkets are “accidentally vegan”. This just means that they contain no animal products but aren’t necessarily targeted at vegans. Silver Spoon dark chocolate chips from B&M stores (I can’t find the link online but they have them in store). If you’re outside of the UK, check out this vegan chocolate chip guide by Namely Marly for info of which brands might be available near you. And if all else fails, just grab a bar of your favourite vegan chocolate, cut it up and use chocolate chunks instead of chips. 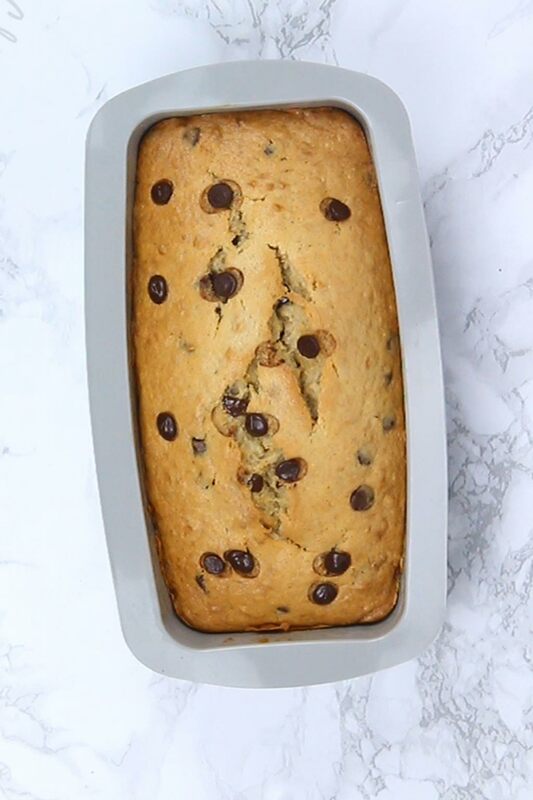 Can I make this chocolate chip banana bread gluten-free? 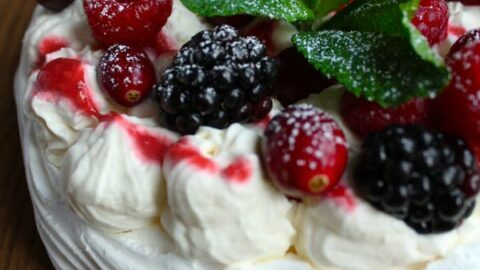 I would recommend simply switching the self-raising flour for a gluten-free self-raising flour blend. I have had great success swapping regular flour for Doves Farm gluten-free blend (ratio 1:1) in baking recipes. If you do decide to use gluten-free flour, be sure to add another mashed banana for more moistness. My mum tried the original recipe with gluten-free flour and reported that it was a bit crumbly. So the extra banana will solve this issue. 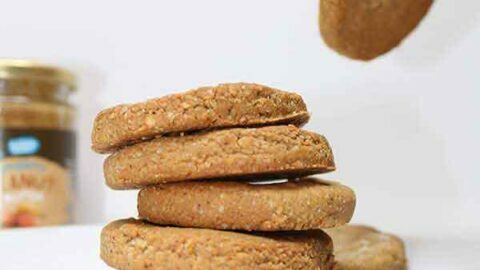 There are, of course, many other gluten-free flour alternatives. 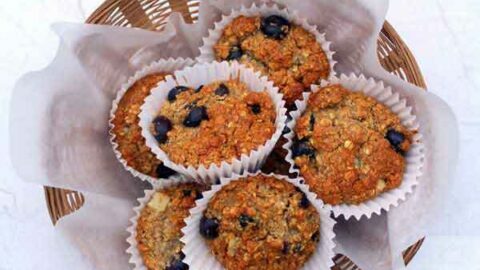 But I find that things like oat flour or buckwheat flour change the taste and/or texture a little too much for it to still taste like traditional banana bread. If you give it a go with the gluten-free blend, let me know how you get on! How ripe should bananas be for bread? 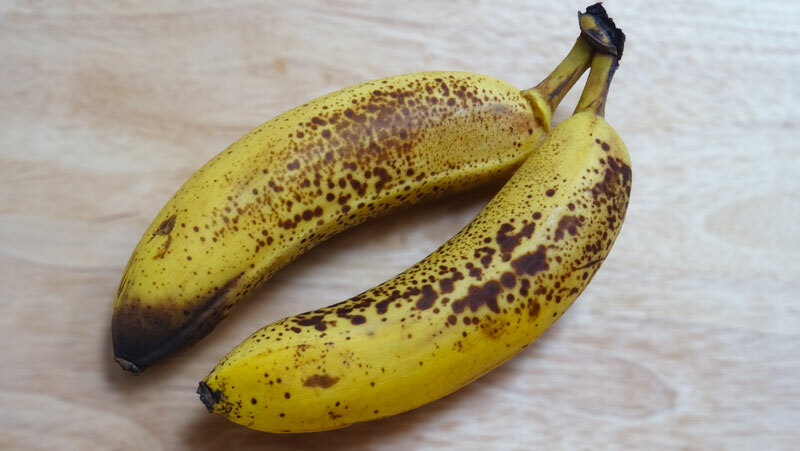 For the perfect chocolate chip banana bread, you want your bananas to be super spotty and brown. If they’re not ripe enough, a.k.a. if they are still completely yellow or green, your finished banana bread will lack sweetness. On the other hand, if your bananas are completely black on the outside, they should be discarded as they may contain harmful bacteria. Not too black, but definitely ripe and spotty. But what about those times when you don’t have ripe bananas to hand, but absolutely NEED to make banana bread this very second? All you have to do is pop them in the oven for a bit! I find that 180C/ 350F for around 5-10 minutes or so works best. The skin will be black when you take them out, but note that this isn’t the same as the black bananas that I just told you that you should discard. They should be brown and squishy inside. Doing this actually makes them a lot easier to mash too. The first step for this recipe is to preheat your oven to 180C / 350F. You’ll also need to line or grease a 2lb loaf tin. Next, cream your vegan butter and sugar together in a large bowl. This simply means to beat air into the butter/sugar to help the banana bread stay nice and fluffy. You’ll need 180g of caster (superfine) sugar and 110g vegan butter. Feel free to use dairy butter if you aren’t vegan. If you’re in the US, this is around 3/4 cup + 1 tablespoon of sugar and 1 stick (or 1/2 cup) of butter. 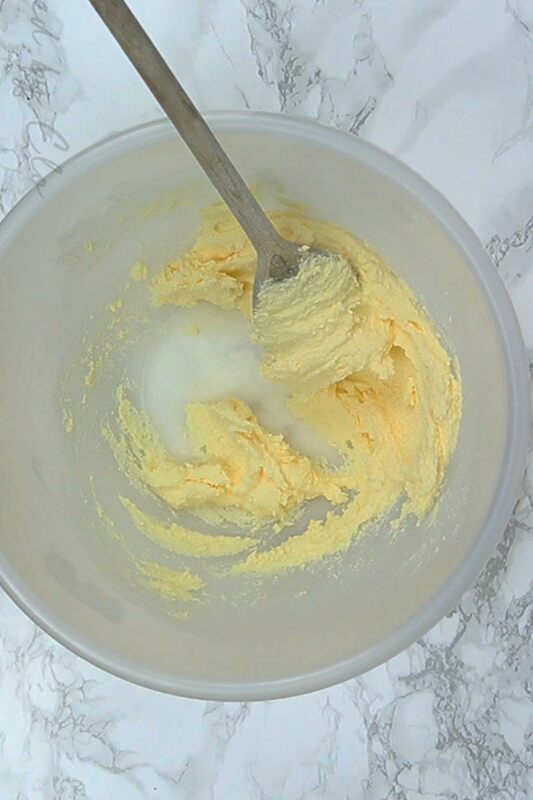 Using a wooden spoon, “smear” the butter and sugar along the sides of the bowl until completely combined. Keep doing it for a little longer until it becomes fluffier and turns a pale yellow colour. Mash your ripened bananas. I personally like using a fork to do this because I enjoy the slightly chunkier texture it gives in the finished product. But if that’s not for you, feel free to use a blender or food processor to get a smoother texture. Once you’re done mashing your bananas, add them to the bowl with your butter and sugar mix. Add 6 tablespoons of plant-based milk to the bowl. I used almond milk for this but feel free to use soy milk, rice milk, oat milk… or just whichever milk you like best. Mix everything together using a wooden spoon. Add in 240g (just under 2 cups) of self-raising flour, plus 1 teaspoon of baking powder. Fold this into your wet mixture. You can “fold” by tracing a figure of 8 with your spoon until everything is JUST combined. Be careful not to overmix the batter otherwise your banana bread might end up with tough or crispy edges. The batter should be slightly thicker than a sponge cake mix would be. 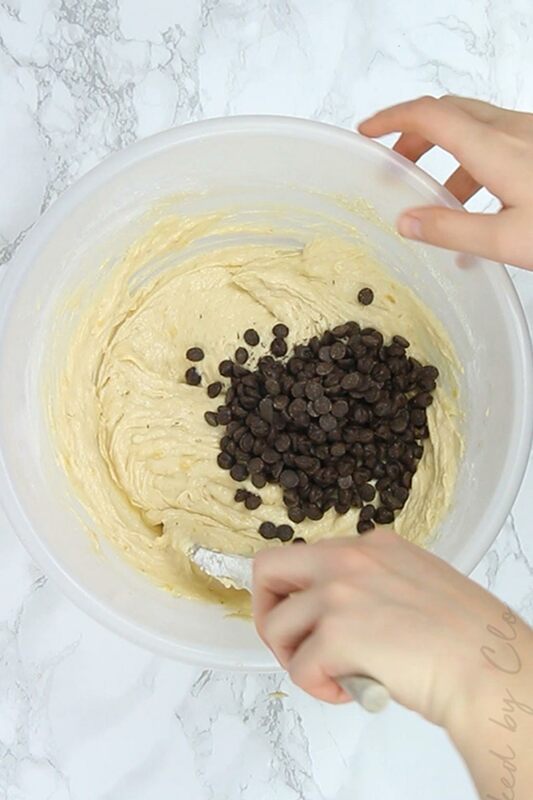 The most crucial step to chocolate chip banana bread: the chocolate chips! Add in 100g (3/4 cup) of vegan chocolate chips, or more if you’re so inclined, and gently fold in. 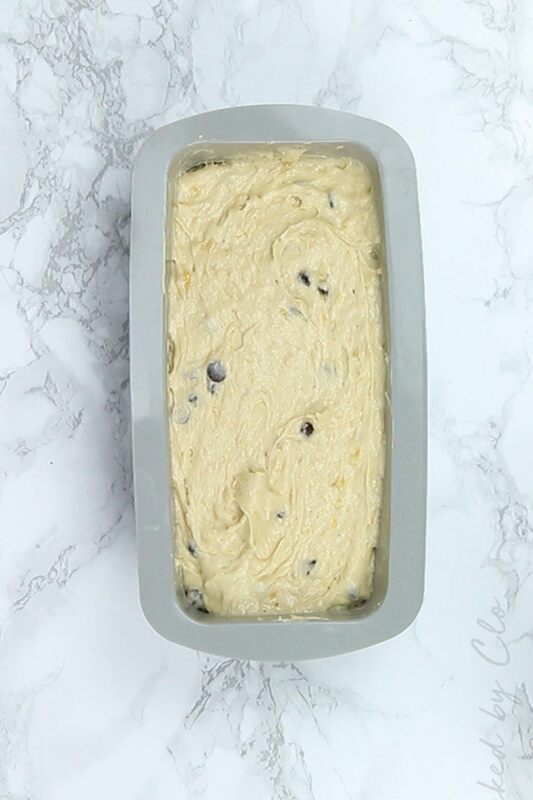 Spoon your batter into your pre-prepared loaf tin. Bake for around 1 hour and 10 minutes. How do I know when my banana bread is done? You can check if it’s ready by inserting a skewer or small knife into the middle. It may have a few crumbs stuck to it but it should come out clean without any batter sticking to it. If the skewer comes out with batter stuck to it, put your banana bread back into the oven and recheck it every 5 minutes or so until the skewer comes out clean. When it’s done, leave it out to rest for around 10 minutes, then transfer it to a wire rack until it’s completely cool. Once cooled, cut into slices and serve! 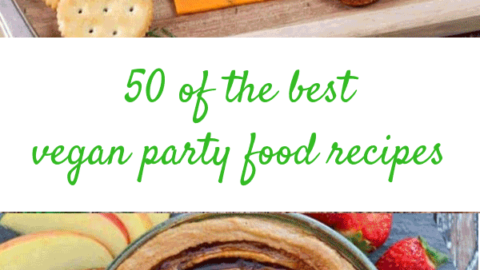 And try not to eat the whole thing at once- it’s seriously that good! I find that banana bread keeps best when stored in an airtight container in a cool, dry place. You can also wrap it in clingfilm or tin foil to retain even more moisture. It should last for around 2-3 days this way. I personally think it tastes better the day after it’s been baked but it never stays around much longer than that. We always eat it right up! Of course, there’s also the option to store it in the fridge for a longer shelf-life, but it will lose its softness faster and might become a little denser. Can banana bread be frozen? Yes! To freeze, wrap the cooled banana bread tightly with tin foil or plastic wrap. It will keep well in the freezer for 3-4 months. 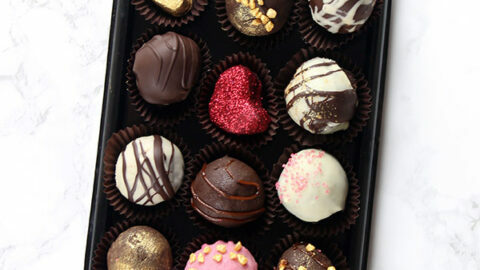 When you’re ready to eat, unwrap it and leave it on a wire rack at room temperature. After about 3-4 hours, it will be thawed and you can enjoy as normal! Use super ripe bananas for a sweet, moist centre. Freeze ripe bananas if you want to save them for baking at a later date. Defrost at room temperature before mashing. Use a fork to mash bananas for a chunky texture, or a food processor if you like it smooth. 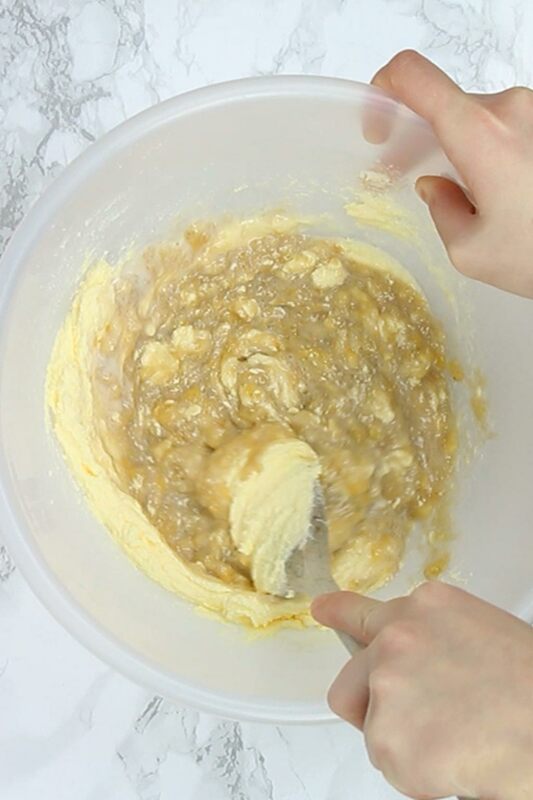 Fold in the flour using a figure of 8 motion with your spoon for a light, cakey texture. Combine the batter gently and don’t overmix. 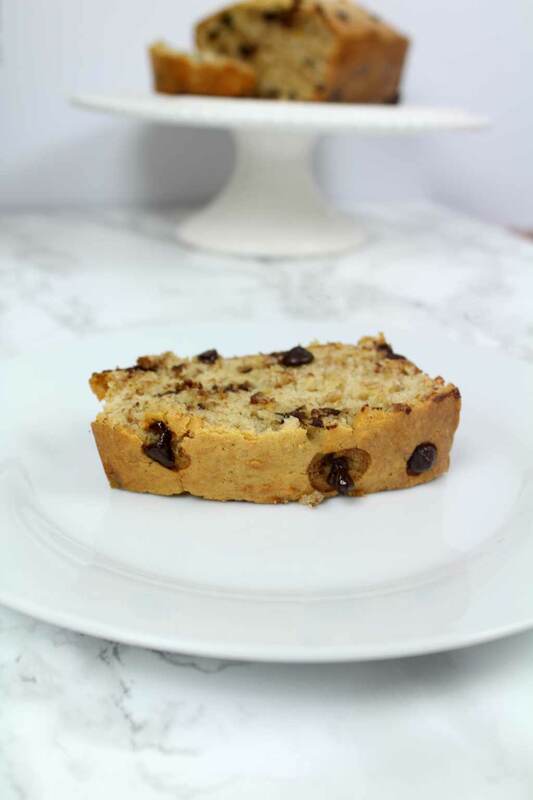 Try using white chocolate for white chocolate chip banana bread. IChoc is a great brand. I hope you enjoy this recipe! If you give it a go, please leave me a comment to let me know what you think. 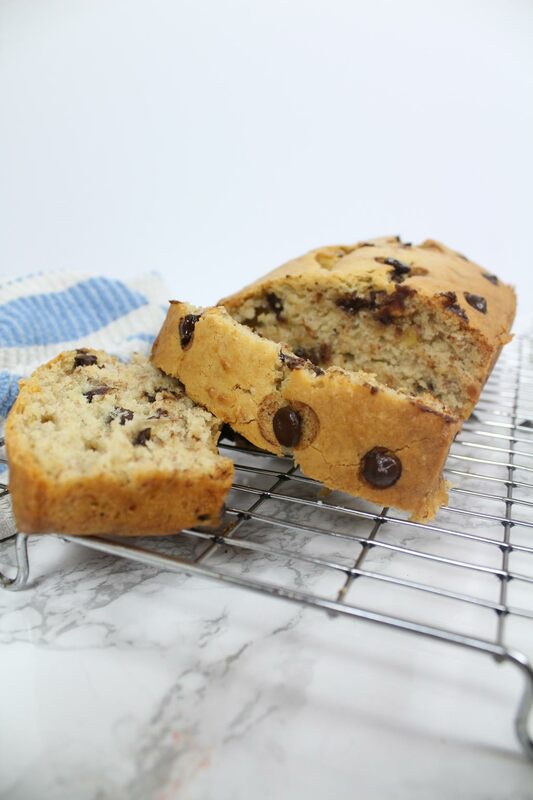 A classic chocolate chip banana bread recipe that's eggless and dairy free! Preheat oven to 180C/ Fan 160C/ 350F/ Gas mark 4. Grease or line a 2lb loaf tin. Cream together the butter and sugar in a large bowl. Mash the bananas with a fork or food processor and add them to the bowl. Add the milk and mix well. Add the flour and baking powder. Gently fold in, being careful not to overmix the batter. Spoon the slightly thick batter into the loaf pan and place on the middle shelf of the oven. Bake for around 1 hour 10 minutes, or until a skewer through the middle comes out clean. 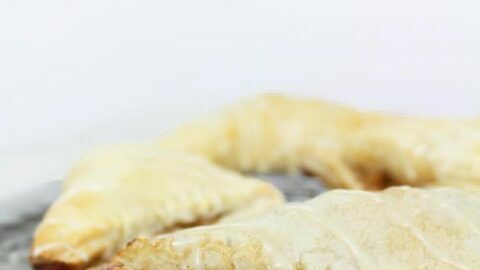 *You can use gluten-free self-raising flour for this recipe if desired, but be sure to add another mashed banana to prevent it from crumbling.